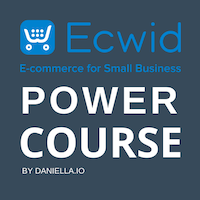 Ecwid is a modern cloud based eCommerce builder aimed at individuals and small businesses that have existing websites and want to skyrocket their online sales. With this tool, you can easily transform your site into a more professional, better selling platform. You can easily integrate this eShop into practically any existing site, blog or even social media account. Ecwid pricing plans are extremely competitive, and they give you access to a multitude of high-end features. Multiple plans are available in Ecwid, so it is easy to choose a plan that suits your needs. You can choose from a Free, Venture, Business or Unlimited plan. We will dive into each plan in this article to help you get an idea on what to expect from this tool. Without further ado, let’s take a look at 7 key things you should consider when deciding if a paid Ecwid plan is worth the cost. Ecwid does not take any commission on your sales. Period. This is probably one of the biggest benefits you can enjoy with this online store builder. Other competitors charge commissions on transactions. There are no Ecwid fees, it’s as simple as that. Even if third party payment providers may charge extra fees, you can rest assured that Ecwid will not charge you any transaction fees on your individual sales whatsoever. This means a lot, especially if you sell a high quantity of products. In the end, you’ll be able to save hundreds, even thousands of dollars each month from payment fees. Ecwid is the perfect choice for small businesses, as it offers a multitude of quite affordable plans. In terms of plans, you can choose from free, venture, business and unlimited. Let’s take a closer look at each plan below. The Ecwid Free plan is perfect for startups that have just started selling online or for companies that want to give Ecwid a try. In the free plan, you’ll get an online store, unlimited bandwidth, a mobile responsive shopping cart, free starter site, automated onboarding, as well as the option to sell simultaneously on multiple sites. You can basically sign up for free and choose to remain free forever. You have to pay no commissions to Ecwid for your sales, and no maintenance costs. How cool is that! No credit card required. However, what really make Ecwid stand out of the crowd is the affordability of the premium plans and the multitude of super cool features they offer. The Ecwid plan costs $15 per month. At a very low price, the Venture plan offers you all free features, plus access to iOs or Android store management app, discount coupons, abandonment cart saver, automated tax calculations, advanced SEO tools, inventory management, chat support and powerful social media tools. The Venture Plan includes many professional features you can use in order to manage and grow your online store. I recommend it for startups and anyone who wants to test out the lowest priced paid plan. You can use the business plan to take your company to the next level and sell on strategic channels like Google or eBay. I recommend this plan for serious small and medium-sized businesses who want to take their eCommerce marketing to the next level. The final and most complete plan Ecwid offers is the Unlimited Plan that costs $99 a month. The Unlimited Plan gives you access to point of sale integrations (Square POS or Vend), customized mobile app, priority support and 12h free hours of custom interface development. With this plan, you get to enjoy unparalleled flexibility, unlimited support and powerful features to help you sell on mobile like a pro. Out of all Ecwid payment plans, the unlimited plan is aimed at users that want to leverage all Ecwid features and sell primarily on mobile. Present your store in up to 45 languages: You cannot do this with any other eCommerce platform. This feature is really useful if you are an international seller and you want to speak with your customers in their native language. You don’t even have to lift a finger, this is a native feature to Ecwid. Enjoy a Personal Mobile App: Once you upgrade to the Unlimited plan, you get a personal app for your online store which can be published on both Google Play and Apple Store. With this app, you can sell even more of your products right to mobile users. Abandoned Cart Recovery Feature: This top feature enables you to send automatic emails to users who added a certain product to cart, but left the store and didn’t complete the order. Your conversion rates will definitely grow by using this top-notch feature. Facebook & Instagram Integrations: This huge eCommerce platform allows you to open a Facebook store and start selling on Instagram immediately. You can enable customers to order right from your Instagram posts or go on your Facebook page and order from your shop plugin. Some other powerful features of Ecwid include Amazon & eBay integration, automatic tax calculator, smooth integration with a multitude of platforms (WordPress, Wix, Tumblr), multiple automated shipping carriers (UPS, Correios, FedEx, Australia Post or United States Postal Service), automatic updates, no software installation and customizable design schemes. ZotaBox can be used to add more cool functions to your Ecwid store. It also blends perfectly with any site builder including the Ecwid Starter Site. Ecwid offers you a customizable level of support, depending on the plan you choose. If you choose the free plan, you can only benefit of email or forum support. However, you won’t have priority. If you upgrade to Ecwid Venture plan, expect to enjoy email and live support and a certain degree of priority. For Ecwid Business or Unlimited, you get priority for all 3 types of support: email, chat and support. Additionally, for the last 2 plans on a yearly plan, you get some free customization from the team behind Ecwid. If you purchase a yearly plan, in the Business plan, you get 2 hours of free customization. For Unlimited, you get 12 hours. This is a unique feature in the eCommerce world. Ecwid is willing to break new ground in this niche by offering a such a powerful customizations. In terms of actual support level, expect to be treated with respect by a team of friendly, highly-professional customer services reps. From my personal experience, I can state that Ecwid support rocks! When talking about Ecwid price, you need to know that the better the plan is, the more options you have. For instance, the Venture plan does not allow you to manually create or edit existing orders. However, with Business or Unlimited plans, you can easily edit your orders and stay in control of all your customers. In the Business and Unlimited plans, you also get to enjoy the automatic abandonment cart recovery. Moreover, these plans (when purchased yearly) enable you to enjoy free consultation and 2, respectively 12 hours of free customization. During this time, you will get expert advice from a professional designer on how to customize your site and how to optimize it for search engines. With Business and Unlimited, you can also sell on eBay and Google Shopping. Note that you also need to choose one of these premium plans if you are selling digital goods that are over 100 MB in size. To top it all, you can get a custom mobile app and access POS integrations in the Unlimited plan. As you have probably noticed by now, the Business and Unlimited plans are by far the best choices you can make. Of course, there is always the Free plan to give you a taste of Ecwid’s powerful platform with no charge or need for a credit card. You can start for free and continue for free. You can also upgrade to a higher plan, test the water, and then move back to the free plan. You have total freedom to do what you want with Ecwid which is unique compared to their competition. 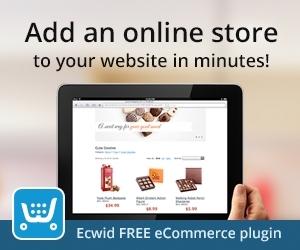 Unlike all other eCommerce platforms, Ecwid gives all users the huge advantage of staying free forever. Shopify for example, only offers a 14 day free trial. But Ecwid is free, forever. However, if you want to grow and expand, you definitely want to move to a paid plan. 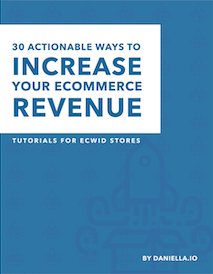 Ultimately, Ecwid is one of the few eCommerce services that do not require a credit card to open an account and test the waters. You can start for free without adding any payment information. Only if and when you decide to upgrade to a paid plan, you will be required to enter your credit card details. This is extremely beneficial for people who do not have trust in online programs. They can try Ecwid for free and then, when they see that it is genuine, can go with an Ecwid upgrade in order to leverage all other powerful features this system has to offer. Using Ecwid’s top features, you can create templates, online catalogs and intuitive interfaces to streamline the shopping process and get more sales. You’ll be able to convert more of your customers by making it easier for them to order from your site. Inside the platform, you can get access to a plethora of rich features. You can add photos, accept payments from tens of payment processors, sell in over 140 countries, minimize shipping rates, and the list goes on. What makes Ecwid unique on the market is that it is not a standalone eCommerce platform, but a widget. This means you can integrate it with ease on all of your platforms, thus maximizing your chances of selling your products on multiple channels. I recommend you give Ecwid a try for free today, no credit card required. If you like what you see, upgrading to a Business Plan is the best option for small/medium sized business owners. Have a look for yourself, try Ecwid for free today!